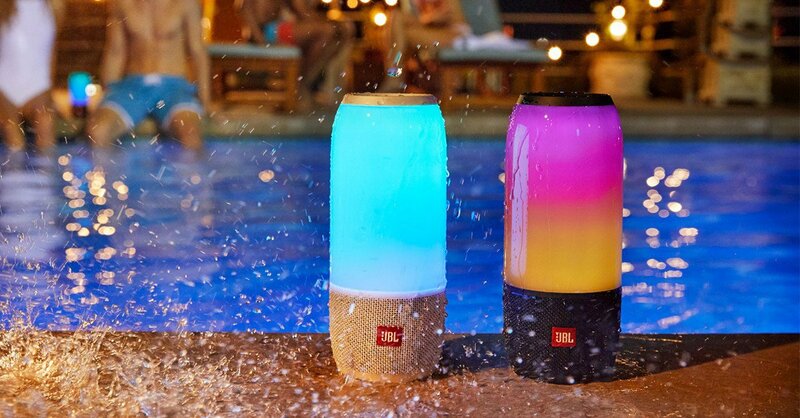 Sound You Can See Take your listening experience to the next level with the JBL Pulse 3, the portable, waterproof Bluetooth speaker that combines 360 sound with 360 lightshow. Bring your music to life with glowing LEDs wherever you are. With a built in rechargeable battery that delivers up to 12 hours of playtime and an IPX7 waterproof housing, Pulse 3 is perfect for worry free listening by the beach or pool or even in it. With JBL Connect+ technology, you can wirelessly link more than 100 JBL Connect+ enabled speakers to amplify the party. Pulse 3 also features a noise and echo cancelling speakerphone for crystal clear calls. Simply shake the Pulse 3 to create a synchronized lightshow with other Pulse 3 devices. 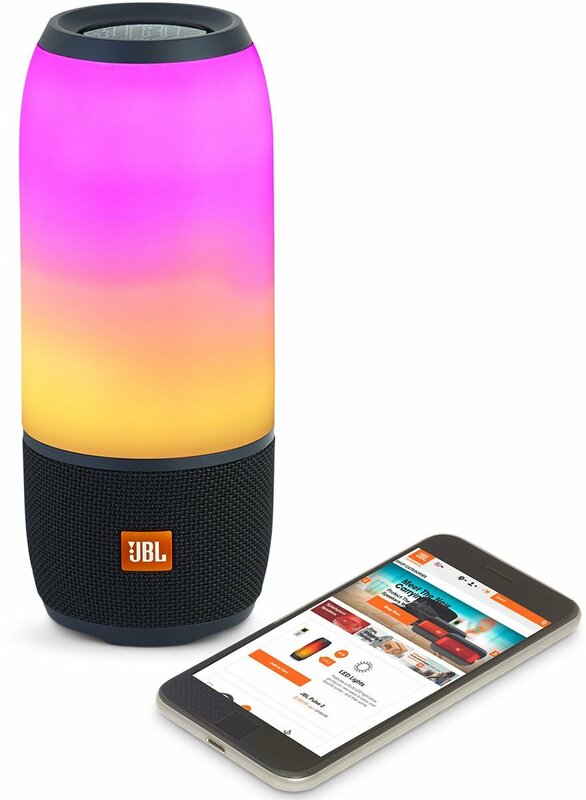 Customize your lightshow experience at the tip of your fingers with the JBL Connect app. Wireless Bluetooth Streaming Wirelessly Connect up to 2 smartphones or tablets and take turns playing music with exceptional 360 sound. 6000mAH Rechargeable Battery The built in rechargeable Li ion battery provides up to 12 hours of playtime with music and light show. 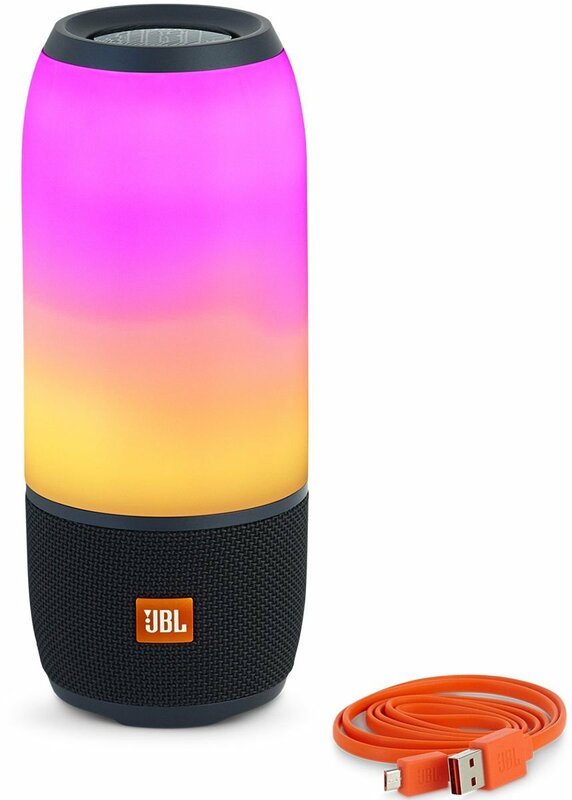 360 Lightshow And Sound JBL Pulse 3's customizable 360 lightshow sets the atmosphere by bringing your favorite songs to life. IPX7 Waterproof No more worring about the Pulse 3 getting wet due to rain, spills, or submersion in water. JBL Connect+ Amplify your listening experuebce abd build your own party by wirelessly connecting more than 100 JBL Connect+ enabled speakers. Speakerphone With the noise and echo cancelling speakerphone you can take calls from your speaker with a touch of a button crystal clear. JBL Connect App You can make your music look amazing by customizing the light sequences and easily adjust your settings with the JBL Connect app.